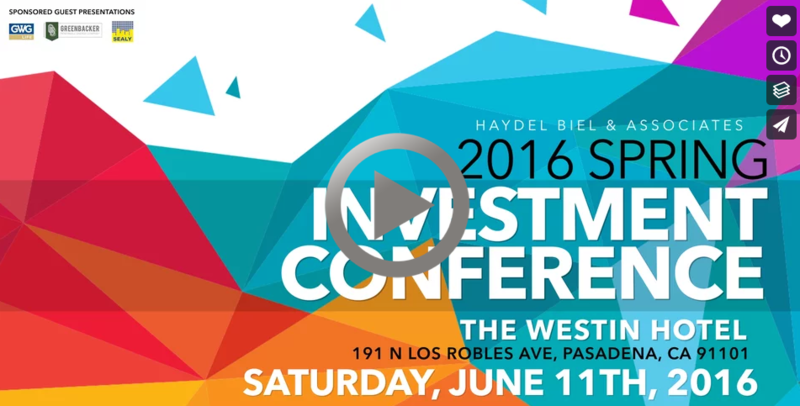 Please save the date on Saturday, June 11th for our 2016 Spring Investment Conference at The Westin Hotel in Pasadena. We'll review what you need to know about alternative investments to incorporate an alternative investment strategy into your portfolio. Watch this video to learn more!